Based on your criteria, Frontpoint Security is the best option for you! 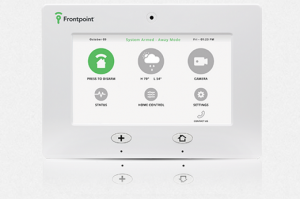 Frontpoint is consistently recognized as one of the top alarm companies for a number of reasons. If you are looking to protect your home and family with a quality home security system, Frontpoint represents an exceptional overall value. The first step in selecting a home security systems is assessing your needs, priorities and budget. While each of our Top 5 Best Home Security Companies is worthy of your consideration, your situation and individual preferences are unique. To find the security system and company that is best for you, it is important to determine your priorities. One of the first considerations is whether or not you want to install the system yourself or pay for a professional installation. Historically, systems had to be hardwired into the home. This would involve drilling and cutting holes in the walls, fishing wires and complicated mounting and extensive programming. But…times have changed. Even the companies that professionally install the systems are now using primarily wireless equipment. The technology has been greatly improved over the years to make the equipment extremely user friendly…and the more experienced DIY alarm companies have greatly streamlined the installation process to make it simple for even the most technologically challenged homeowners. The better companies will pre-program the entire system before sending it out, so that all the end user has to do is mount the devices and call in to have the system activated. Over 90% of homeowners found our best DIY alarms systems easy to install! When selecting the best home security system to help protect your home and family, one of the most important criteria to consider is how the system will be communicating to the central monitoring station. Historically, it wasn’t that long ago when the only way to send a signal was through a landline. Fortunately technology has developed faster, more efficient and more secure methods of communication which afford additional options to meet the demands of security savvy consumers. The basic landline connection is typically the most affordable means of communication. However, it has limited capabilities and is more susceptible to potential security threats. Landlines can be compromised by simply cutting the phone line. This eliminated the means of communication and reduces the security system to nothing more than a noise-maker. Additionally, landlines cannot transmit the data signals that power the mobile applications which play such an important role in today’s best home security systems. Today’s consumers are looking to be able to monitor and manage security and home automation function from anywhere through apps on their mobile devices. Broadband is certainly the fastest means of communication a signal and excellent data bandwidth transmission capability, but suffers from the same security vulnerabilities as the landline. It can be defeated with a $5.00 set of wire cutters. Additionally, broadband communication is susceptible to local power and cable outages. Consequently, in most situations, we recommend a system equipped with a cellular connection (or a system with multiple, redundant capability). It operates on it’s own independent cellular communicator which is typically incorporate into the main control panel. It cannot be cut by intruders and is not affected by local phone, cable or power outages…as the system has a battery backup. Most companies offer both CDMA and GSM cellular technologies which affords coverage in the vast majority of the country. Of course, the exception might be if one resides in an area where there is no cellular coverage or cable service. (or if there is no interest in interactive apps and services) In this case, we highly recommend that exposed phone or cable wires on the exterior of the home are protected with conduit, to protect against the potential for line cuts. Back in the 80’s and 90’s when wireless security systems were first introduced, the technology was far less reliable than it is today. There were many security purists who insisted that hard wired systems were the only way to go. Of course, this required professional installation, cutting holes and fishing wires…and, as a result, the typical installation would cost thousands of dollars. However,as the industry has evolved, technology has improved…and costs have come way down. The batteries that power wireless sensor last for many years and the systems employ learn mode technology to ensure that the sensors communicate properly with the control panel-eliminating the possibility of wireless interference. Consequently, even the “professional installation” companies install wireless alarms systems…almost exclusively in residential applications. While hardwired systems are still used in certain commercial applications…it is unusual to see modern systems being hard-wired in a residential system. When it come to choosing a security company to help protect your home and family, we recommend selecting a national home security that has a stable history and specializes in home security….across the nation. In a mobile society, who knows when you may need to relocate…and need to secure a home in another part of the country. The last thing you want is being tied to a contract with a cable company that doesn’t service that area, or a small local security company that only provides service in a limited geographical market. Over the years, I have seen countless local security companies go out of business or sell out to national companies because they could no longer compete….leaving their loyal customers confused, unprotected or at the mercy of their new service provider. Once you’ve narrowed things down a bit, there are a number of things to consider when it comes to choosing the best home security company and putting together and security and home automation system that will meet your needs. What is your budget for a home security system? While home security systems used to be only for the well off, technological advances have brought prices down and made home security affordable for almost anyone. Systems that used to cost many thousands can now be purchased for little or nothing up front…or a few hundred dollars. Are the up front costs or the monthly costs more of a challenge? Some companies now include the costs of the equipment in the monthly monitoring…increasing the monthly costs a bit, but making the initial investment affordable for almost anyone! Do you need to have the system professionally installed, or are you comfortable with a installing a wireless, self- installed system? Most systems are now completely wireless and require no drilling or cutting holes in the walls. The Security system is typically pre-programmed and very simple for virtually anyone to install. No longer is it necessary to wait days or even weeks to schedule a professional installation, or allow a stranger into your home. How good is the installation support you’ll receive? A quality company will ensure a simple, streamlined installation experience by providing quality installation instructions, video tutorials, and e-mail, chat and phone support with experienced installation personnel. Is name recognition important to you? Certainly a company’s length of time in business, reputation and name recognition are important considerations. Some companies require that you own the home, or secure permission from the homeowner before installing a system. Are you looking for the latest, cutting edge technology or proven, reliable equipment that has stood the test of time? As with any industry, there are always new players introducing new technology. While some people are comfortable with a company with little or no track record, many people prefer equipment that is proven and has stood the test of time. Is it important to you that external video cameras are incorporated into the system? Not all companies offer external or “pan and tilt” cameras. If you are looking for advanced video capabilities, you might also consider and independent, 3rd party video solution to complement your security system. This would require a separate user interface, but, might be more cost effective. Do you live in an area where cellular service is a challenge? If so, does the company offer landline and/or broadband connectivity? Cellular communication provides security against having the phone lines compromised, but, if you live in an area where cellular service is questionable at times, a landline connection may be preferable. Are you looking to include home automation features and energy management into your home security system? Most of these features can also be run independent of your security system, but many people prefer the convenience of an integrated, all in one, solution. Does the company guarantee your monthly rate won’t increase in the future? While some companies may offer low initial rates, in the fine print, they reserve the rights to increase those rates…even during the term of the initial contract. 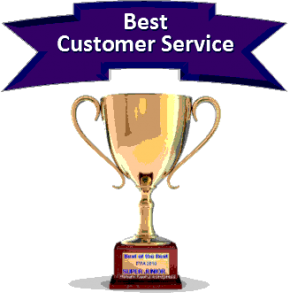 How important is customer service and length of the warranty? Most of the time, you will be committing to at least a 3 year agreement. Shouldn’t your equipment be under warranty as long as you are a customer? In addition to offering industry leading technology and customer service, Frontpoint has a 30 Day Return Policy- so what have you got to lose? Get Your Home and Family Protected!